Pop in and choose from a handful of creative projects at Caravan Classes. This recently opened storefront just south of the square started as a mobile art studio for birthday parties and now features special events as well as drop-in hours for all kinds of artistic endeavors. My kids and I popped in a few weeks ago and spent a delightful few hours painting with co-owner Erin. She was incredibly patient with my two little ones and had endless ideas for helping them craft something they were proud of. Most projects range between $6-15. Check their Facebook page for the most up-to-date hours and project lists and to hear about upcoming special events including adult-only art nights. 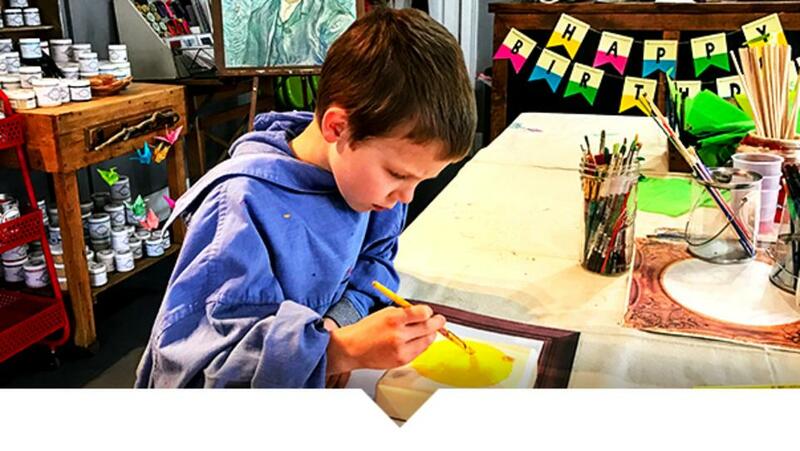 This paint-your-own-pottery studio is perfect every member of your family. Pick unfinished pottery pieces from $4 (most between $10-20) and pay a studio fee to cover the cost of the materials. Adults are $8 and kids are $6. They also feature mosaic art if you’re interested in getting your hands a bit messy and trying something new. Both projects are perfect as gifts for grandparents or teachers. You can also check out Kiln Creation for birthday parties to give your favorite little artist and all her friends a chance to paint. Created to foster arts in the community, this organization is promoting creativity all over Hamilton County. Classes for young art lovers are available throughout the year and are designed for to various age groups around different themes. Nickel Plate Arts also offers Adventures in Arts Camp during the summer for both visual and performing arts. To further inspire your creative kiddo, swing by the Nickel Plate Arts gallery to see the Young Artist’s Exhibit through April 27. For more information, the events page has a complete list of all their upcoming programing. So, there you have it! An entire palette of creative offerings to get your whole family inspired. 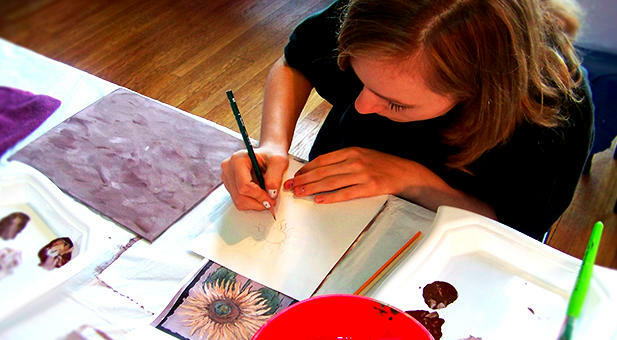 Ignite a spark of creativity by making a trip to Noblesville with your kids. There’s something great about seeing your kid’s imagination come to life and even better when you can spend quality time together while it happens.